Thank you to artists, Lake Union Publishing and you! This Sunday, October 1, is the launch day for my fifth novel, Drawing Lessons. I’m happy to finally share this story with readers and owe a big thank you to the amazing team at Lake Union Publishing for making this launch happen. Writing the story is just part of the journey. 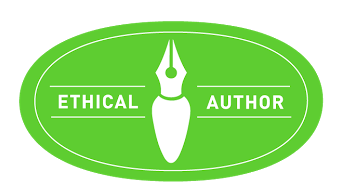 The other part is the expertise and guidance of acquiring editors, developmental and copy editors, proofreaders, cover designers, and marketing wizards along with an indispensable author relations manager … and even that list may not cover everyone. Forgive any omission and know your contribution is valued. Pamela Harty of The Knight Agency, it all began with you. Merci! Writing this story was a challenging and rewarding experience for me in many ways. 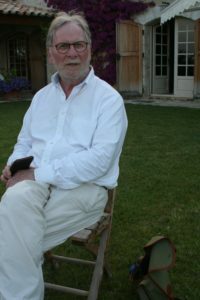 In particular, was the opportunity I had to connect with several visual artists as I attempted to learn as much as I could about their world, in order to write with a degree of credibility within the story. I’m grateful for, hopefully, grasping a smidgen of understanding of the philosophy and craft of creating visual art in many different ways. Thanks too for the detailed information about materials and their use. I couldn’t have written this story without that help. It was Irish artist, Patrick McCarthy, who sparked the idea in my head of Arianna, the protagonist, being an artist. 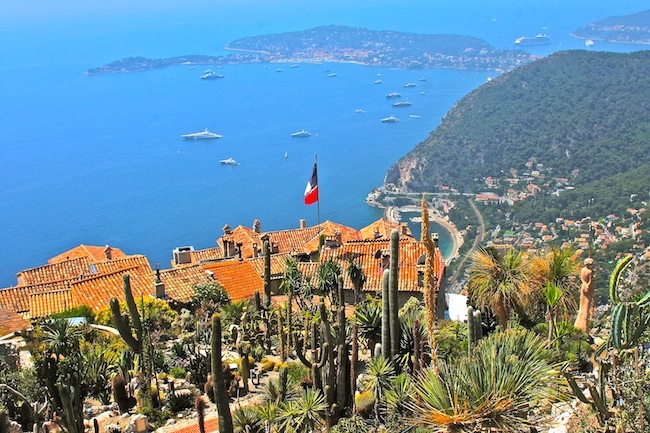 In June, 2016, a few of us were spending an evening at a dinner party at the always rolicking home of dear friends, perched in the hills overlooking the Côte d’Azur. 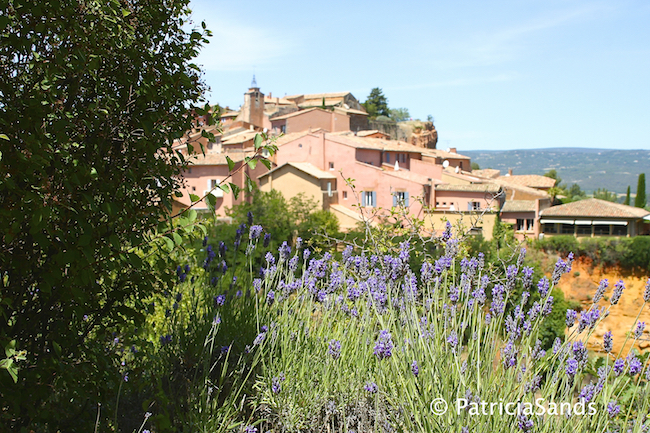 I was fascinated as Patrick took out his traveling box of paints, his case of brushes and pens, and his sketch book, and began to draw the panoramic view, high above Saint-Paul de Vence. Thus began the unfolding of a new story in my imagination. 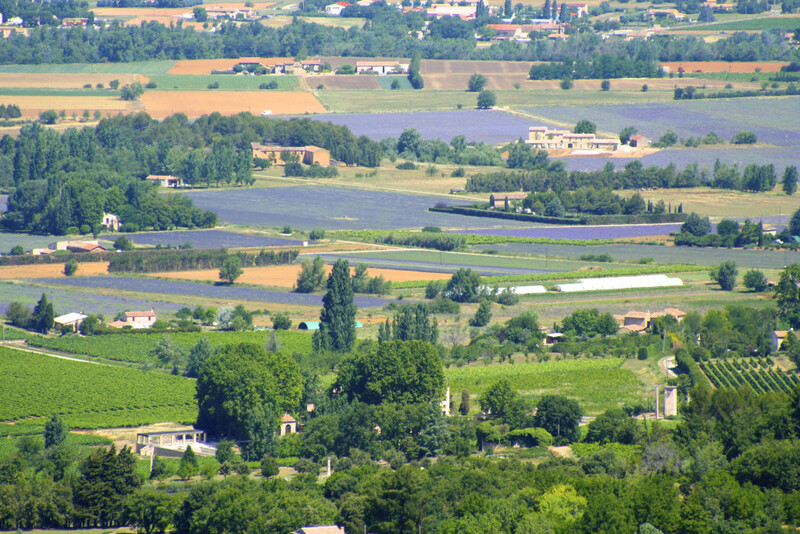 I had already decided the setting would be the area around Arles and the Camargue, where my husband and I had recently spent two weeks. But it was news to me that Arianna would be an artist. It’s fascinating how story details develop sometimes. That’s part of the fun of writing fiction! I realized I had a lot to learn about sketching, drawing, painting and … gulp … the entire world of visual arts. Little did Patrick McCarthy know what he unleashed in my mind. 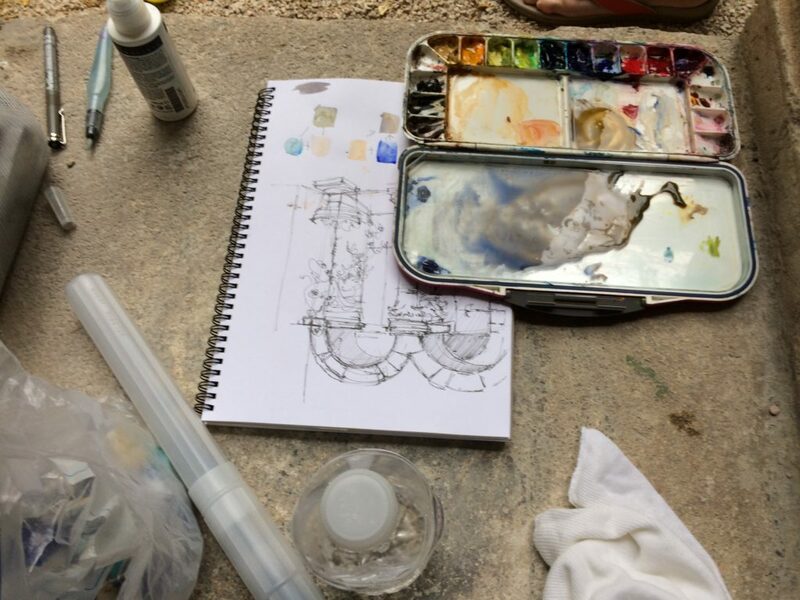 To honour the aspect of the artists’ workshop/retreat that plays a major role in Drawing Lessons, I asked three of the artists with whom I spoke to write a few words for this blogpost. Here are three brief contributions, each expressed from the artist’s slightly different perspective. First, please welcome, JoAnn Sanborn. Our serendipitous meeting at her studio on Marco Island, led to an incredible coincidence. As I explained the basic premise of my story to her, she gasped as she said, “You’re telling my story.” I was covered in goose bumps as she explained. Read on, please. “I’m a landscape painter whose main subject is the Florida Everglades. When my husband was diagnosed with a degenerative brain disease, I began to spend more time in my home studio to care for him. When he passed away, someone at the funeral said to me “Now you will be able to do whatever you want.” Her words disturbed me. I didn’t want to do anything but to have him back. I barricaded myself into the studio playing sad songs of love and loss. 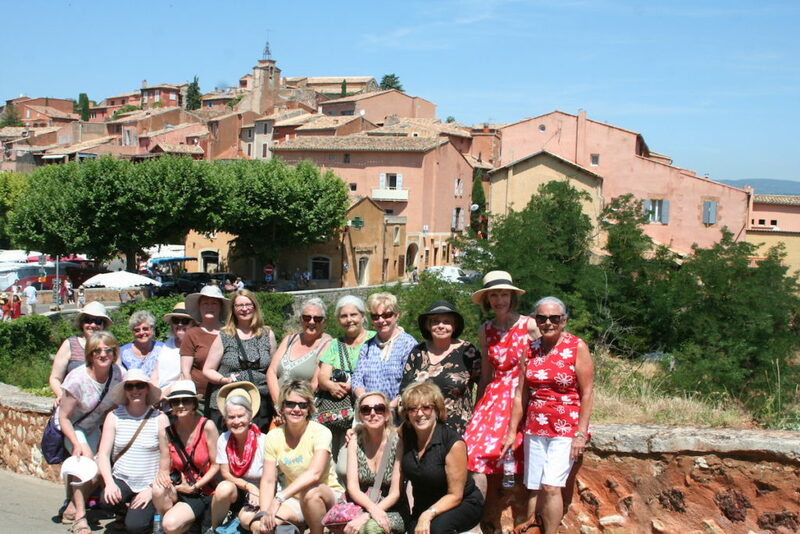 Two months later, I received an email from an artist friend offering to take a small group to paint in France. Did I want to come along? France! At first I didn’t consider it. Still, the idea tugged at my mind. I made all sorts of excuses. I’m in mourning—it’s too soon. I’m an acrylic painter—how would I manage with oils? Would I be good enough? My friend’s words popped into my mind. I didn’t have to ask permission of anyone—but did I dare? I trusted my heart and jumped. 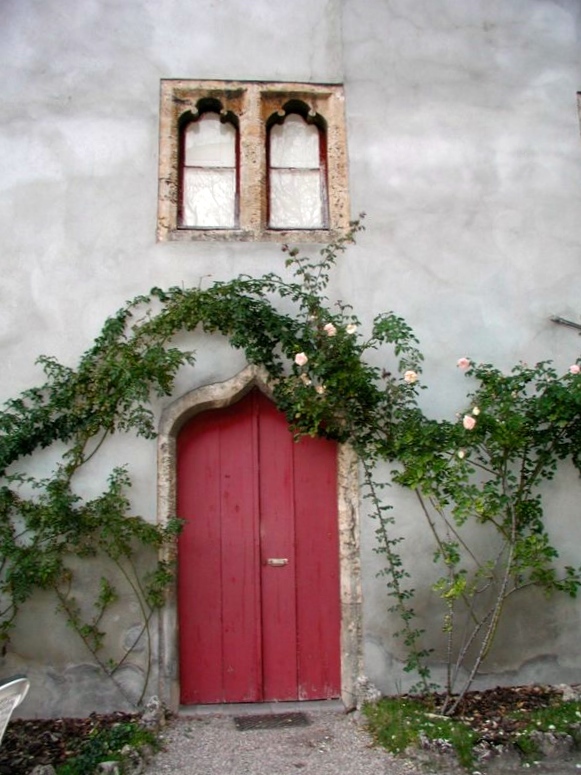 At La Vieux Couvent there were stone buildings, Caribbean blue shutters, climbing pink and yellow roses, church bells, sheep in the fields and delicious farm-fresh food. 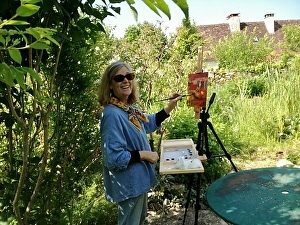 I painted in the studio, in the gardens and at the lily pond. 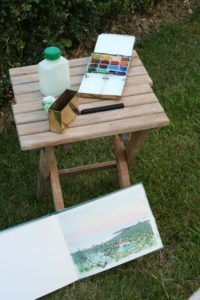 Painting “en plein aire” in a landscape so different from my usual Everglades was refreshing. Other artists shared ideas and encouragement. Sketching, journaling and shopping through the small French towns was fun. There was even an exhibition of our work for the neighbors at the end of our trip. See? Goose bumps. Thank you, JoAnn. Please visit her beautiful website. 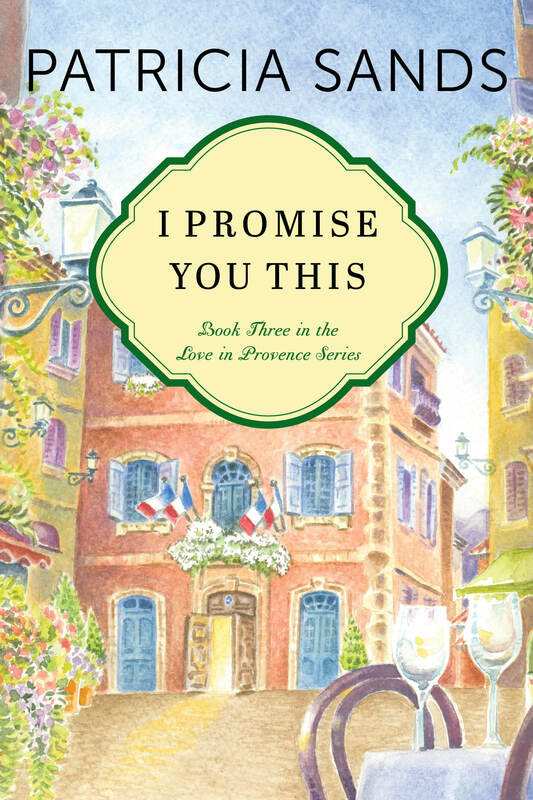 Next, please welcome Tessa Baker, a British artist living in Provence, who offers workshops just like Juliette and Maurice in Drawing Lessons. 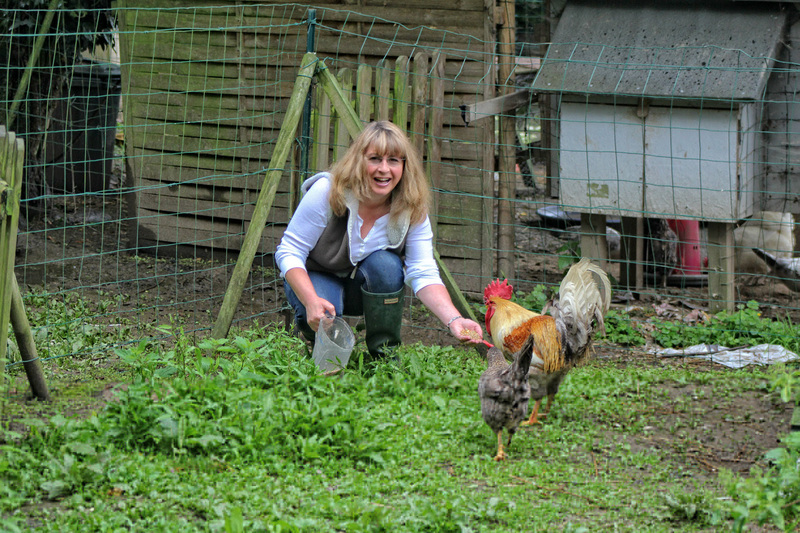 Tessa’s stunning property and website offered inspiration as I developed my story. We met online a few years ago through our mutual friend, Kristin Espinasse. 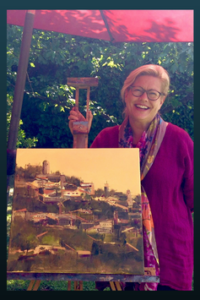 “What do you do when you are an artist living in an old tumble down Provençale farmhouse, surrounded by vineyards and hills with endless inviting views and entrancing medieval villages perched high on hill? 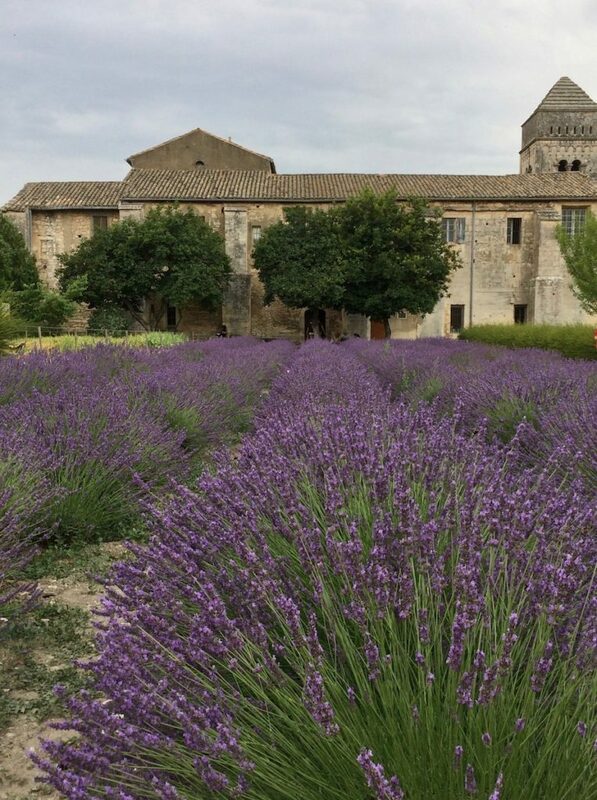 What do you do when you live 35 minutes from some of the most scenic of coastal land and seascapes in all of France and 35 minutes from one of the most luxurious turquoise lakes deep in the valley of purple and ochre mountains, scented by lavender and wild herbs? With gorges of such extraordinary natural beauty you stand and gaze in awe? Well, perhaps you do as I do. I run One Week watercolour workshops. You are looked after and catered for from the moment we pick you up at the airport or train station to the moment we drop you off. Anna is one of the best chef’s I know and provides us with gourmet meals and picnics. I teach techniques and colour mixing, observation and composition. 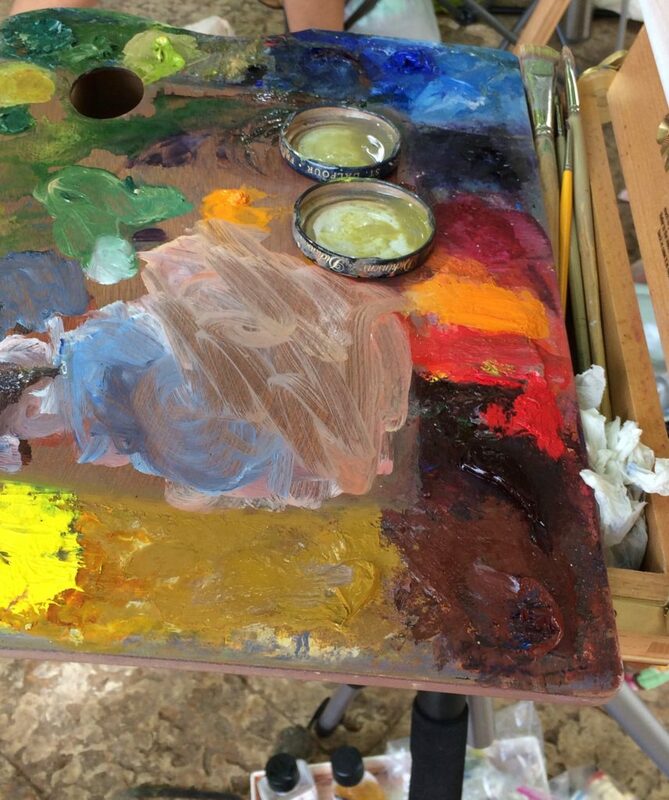 We paint plein-air as often as possible. If the weather is rainy or cool, I have a spacious studio for us to use. Next, please welcome, California-born, Australia-based artist Georgia Mansur. 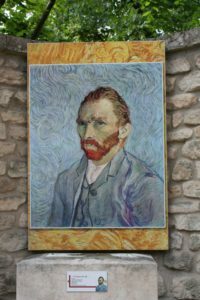 We met, quite by chance, at the Monastère Saint-Paul de Mausole, in Saint-Remy de Provence where Vincent Van Gogh spent 53 prolific and often tormented weeks, beginning May 1889. Georgia travels the world teaching and mentoring groups of artists. Approachable and friendly, she and her students kindly gave me permission to photograph some of their materials and shared thoughts about painting in that remarkable setting. 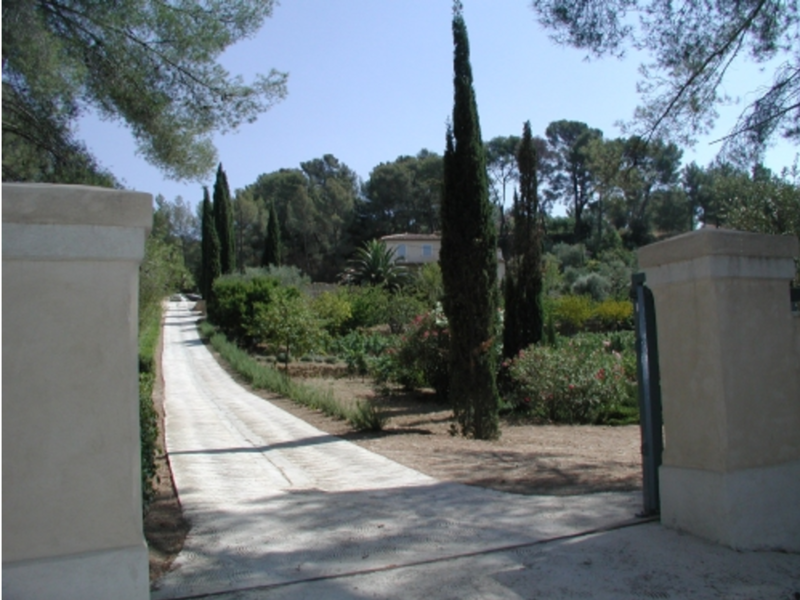 “I have been taking students to Provence to paint in the footsteps of the impressionists masters for the past 8 years. The beautiful soft light and the gorgeous rural countryside inspire me to tell its unique story in paint so others can also enjoy it. I am very passionate about sharing my creativity and art with others and helping them express themselves, whether they are a beginning artist or a seasoned professional. My students have given me the nickname ‘The Art Whisperer’ and I hope to inspire, move and engage people more each day with art and the creative process. We are all creative but some have lost touch with that part of themselves. I get a lot of joy helping others gain access to their artistic side and love sharing my favourite painting spots that only locals know. 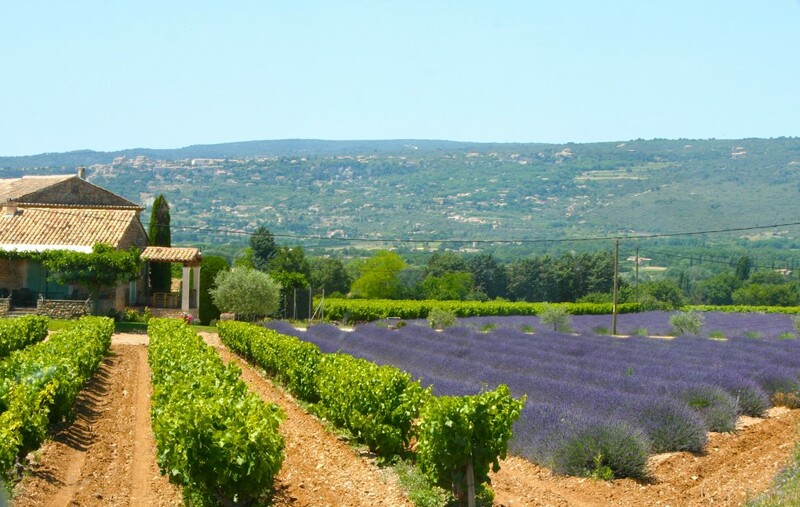 Although i teach about 8 months of the year around the world, Provence holds a special place in my heart. Please take some time to visit Georgia’s website. My sincere thanks to JoAnn, Tessa and Georgia for everything you shared with me. In large and small ways, I gained valuable insight from each of you. It’s my distinct pleasure to have met you. To you, dear readers, I hope this gives you interesting information about some of the research involved in writing fiction. I have another emotional and meaningful conversation to share with you in another blog post. This was with a friend who has also lived part of Arianna’s story. See you next week. Bon weekend and thank you to everyone for celebrating the launch of Drawing Lessons with me. You are the reason I write! Drawing Lessons ~ prelude to publishing! 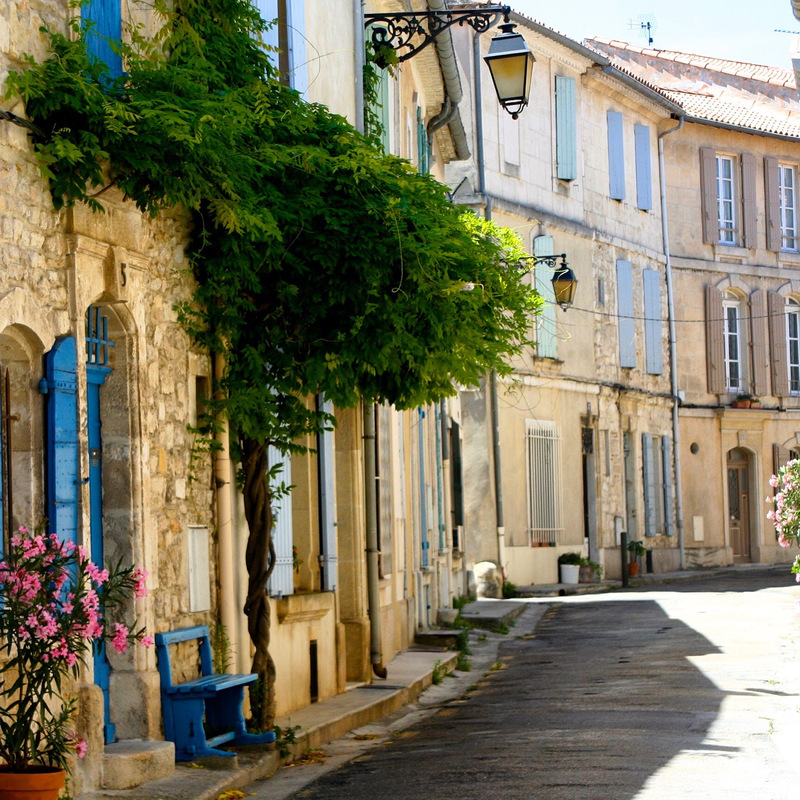 It’s no secret that I have an obsession with France … the south of France, in particular. I love writing stories set in alluring and evocative locations there that bring history, beauty, character and ambience to the reader. When someone writes and tells me they were transported to France in the story … my work is done. And I am so grateful. Thank you to every person who takes the time to share their thoughts in a review. Your words are important to me, as well as to other readers. Reviews don’t have to be long, just sincere. 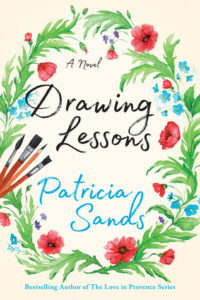 October 1 is the publishing day for my fifth novel, Drawing Lessons. It’s always an exciting day for a writer after a long journey that begins with the seed of an idea. After months of research, writing, editing, re-writing, critiques from advance readers, re-writing, copy editing, proofreading, cover design, and many other details to consider, the release day arrives. Whew! Drawing Lessons begins in Toronto before the story settles in and around the ancient town of Arles and the intriguing Camargue. 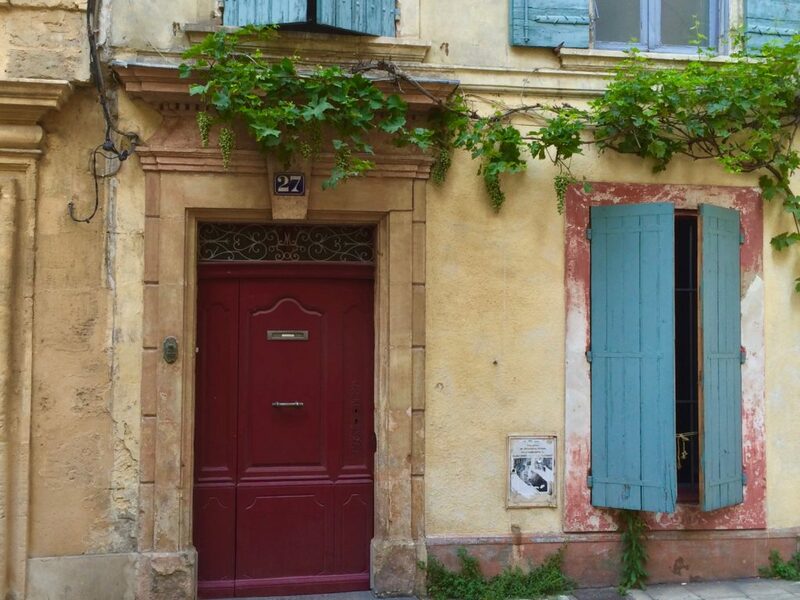 After visiting Arles several times, my husband and I spent two weeks there while I took photos and filled notebooks with details. Here’s an excellent tourism website. It’s definitely an area to visit. I loved writing this story and learned a lot about many new topics in the process. That’s part of the fun of writing fiction. Every story is an eduction for the author. There are many other people to thank and that will happen in another post. Stay tuned. Thanks to everyone who has pre-ordered! If you haven’t, you can do so easily by going to this link. This guarantees your book will be in your hands as soon as it is published. No waiting! Until then, there’s still an ebook giveaway going on until September 30. ONE HUNDRED EBOOKS ~ CLICK RIGHT HERE TO ENTER … GOOD LUCK! BONNE CHANCE! 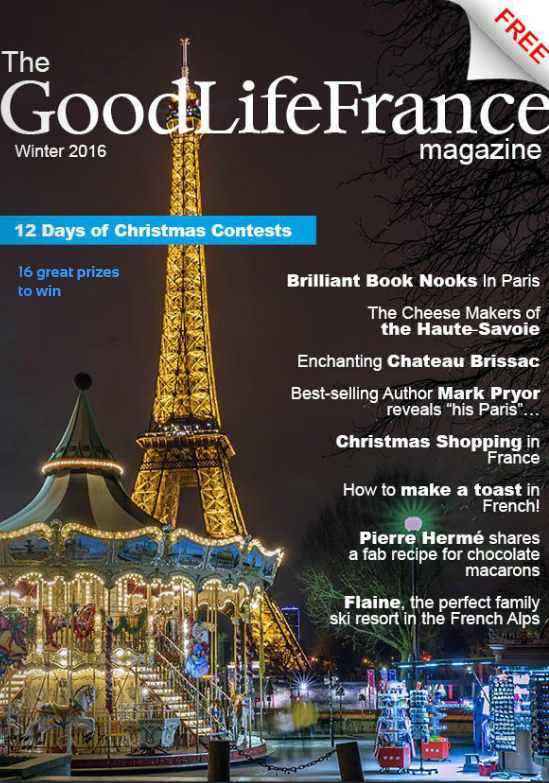 … the autumn edition of THE GOOD LIFE FRANCE online magazine … as I like to say, it’s FREE, FABULOUS and all about FRANCE! CLICK RIGHT HERE AND ENJOY! Then make sure you subscribe … in the meantime, you can be certain I will always share it with you right here! 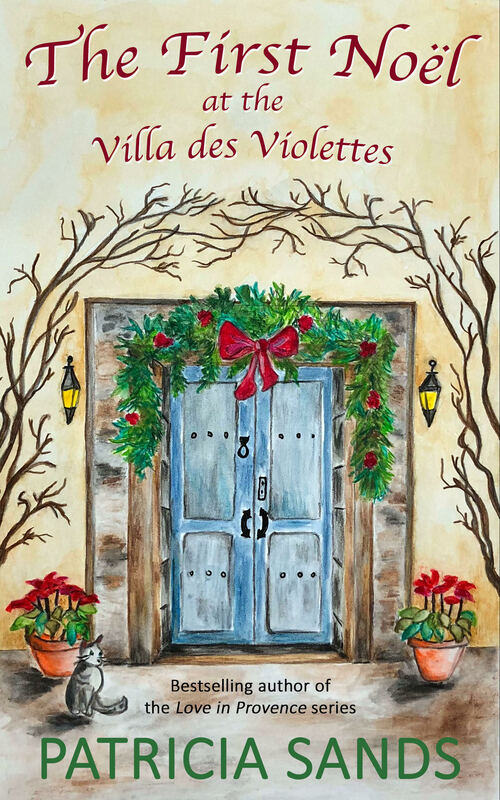 Merci mille fois, Janine Marsh, for another exquisite publication! J’adore! BON WEEKEND, TOUT LE MONDE! WHAT ARE YOUR PLANS? 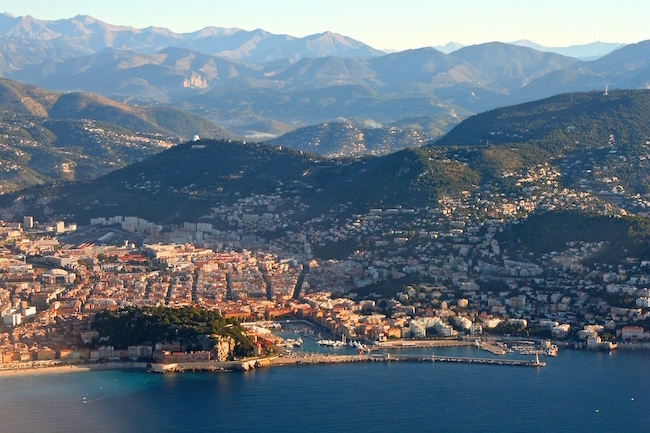 That top photo is our view of the eastern side of Nice and the vieux (old) port as we fly in. How is that for a welcome? I hope this helped to brighten your day! Wherever you are, I wish you safety and, with any luck, a bon weekend. Our thoughts are with everyone. How was your week? Our Women’s Fiction Fans Summer Party on Tuesday evening was an enormous success. We were blown away! And we’re so grateful to all of our enthusiastic readers who joined in the fun. We can’t begin to thank you enough! Congratulations to all of the winners. Books, bags and macarons! Those were just some of the sought after prizes! If you haven’t had an opportunity to join our group, just go to this page and click on “joined”. It’s as easy as that! 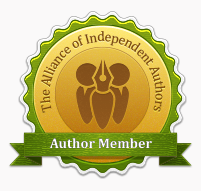 The aim of this friendly group of authors and readers is to share thoughts and comments about books or simply reading in general … or anything else that’s on your mind. Ask us questions, enter our giveaways, enjoy our special events and, by all means, please invite your friends! Right now I’m awaiting the final sign off on the manuscript for Drawing Lessons. We are eager to have the book available on Net Galley for everyone who is interested in writing a review. Stay tuned! I will let you know the minute it is there. In the meantime, Drawing Lessons can be pre-ordered right here. This just means that the day the book is published, you will receive your copy. Great service! And thanks! I’m also working on my July newsletter tonight, so with all that going on, I’m going to leave you with a few of my favourite shots from May and June in the south of France. Enjoy! Profitez! 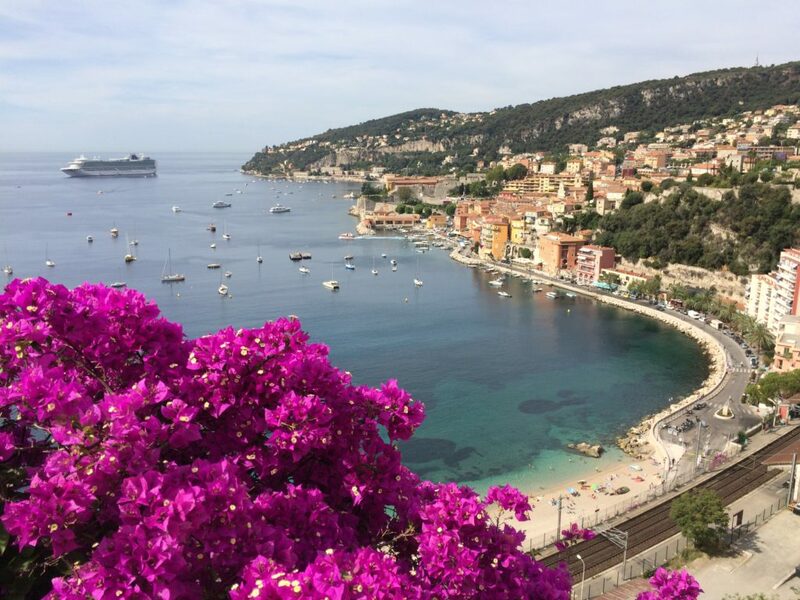 Villefranche-sur-Mer ~ How many times am I going to take a photo here? Year after year, the view is simply too irresistible. It was hot, hot, hot! 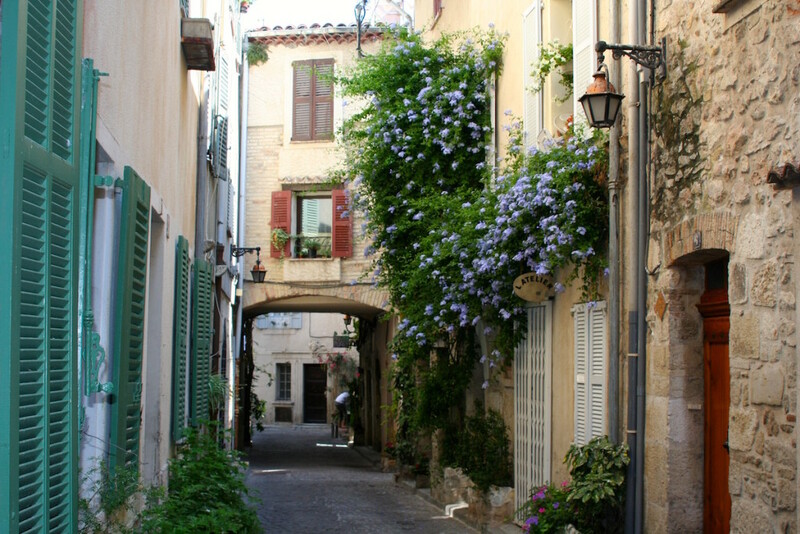 There were few breezes through the narrow streets in the towns and villages of Provence. Shutters were closed to keep the cool inside. The cicadas hummed. 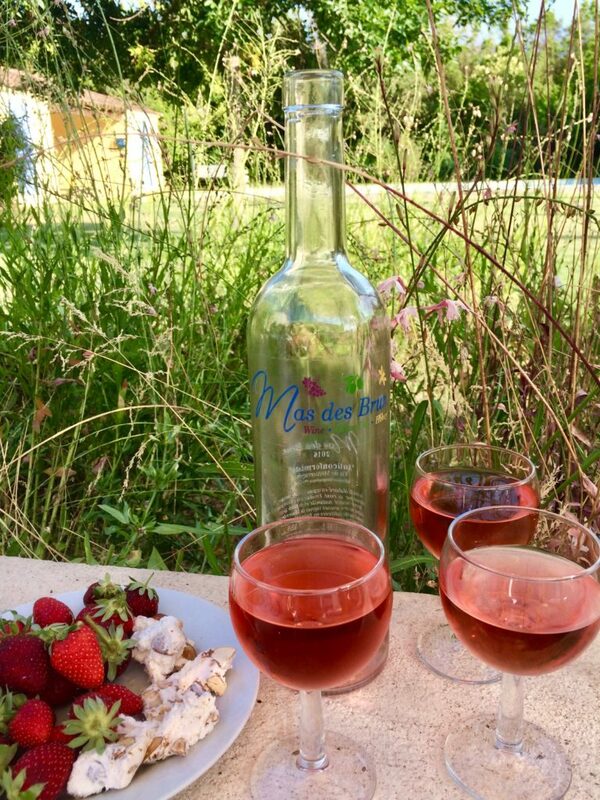 Chilled rosé (extra special because it comes from a friend’s vineyard ~ Jean-Marc Espinasse, husband of the delightful Kristin) + delicious nougat + strawberries so sweet they taste like candy. 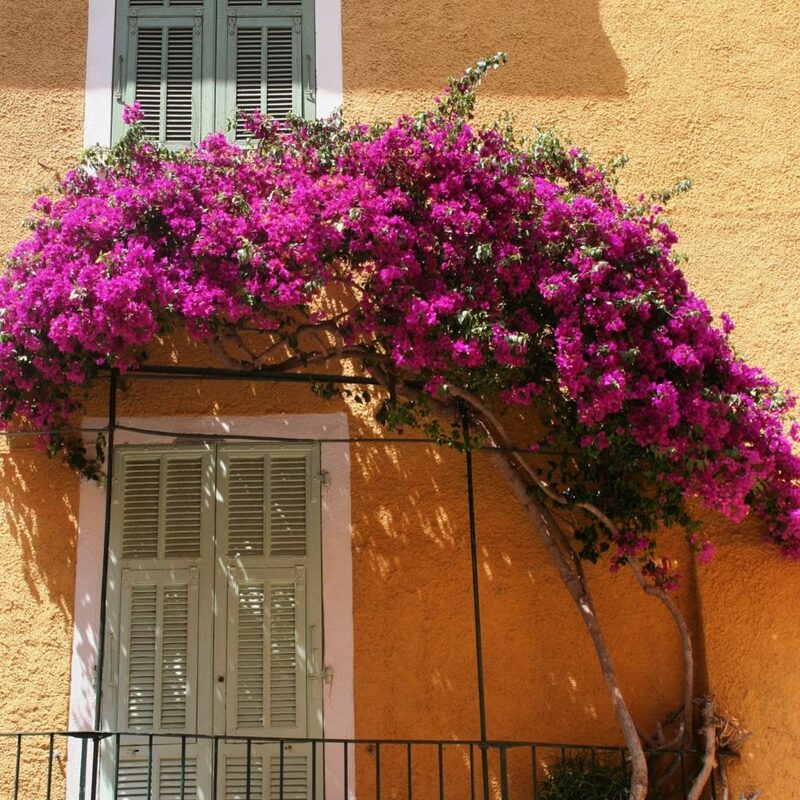 A favourite shot ~ on one of my daily walks to the marché. Can’t you almost taste the colours? 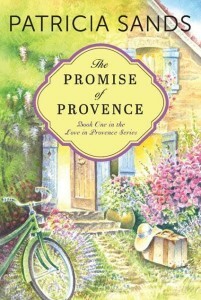 The Women’s Travel Network’s 12-day tour of the south of France, based on my Love in Provence series. Sixteen fabulous women who made each day an absolute pleasure. 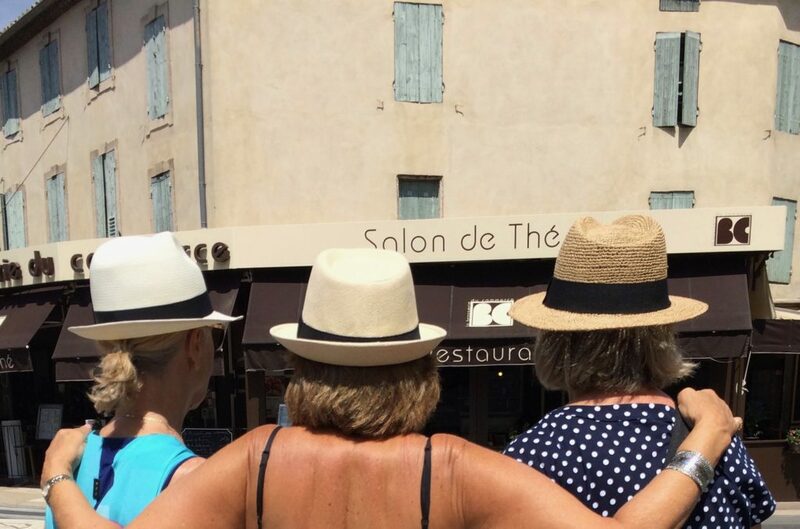 Ten days with two BFFs ~ 4 in Antibes and 6 in St. Remy. Girls’ getaway. Friendship is priceless. The garden behind the 12thC former monastery and asylum of Saint-Paul de Mausole. Vincent van Gogh spent May 1889 to May 1890 here, one of his most productive periods. Van Gogh and this setting also feature in my new novel. This is truly a peaceful, spiritual place. 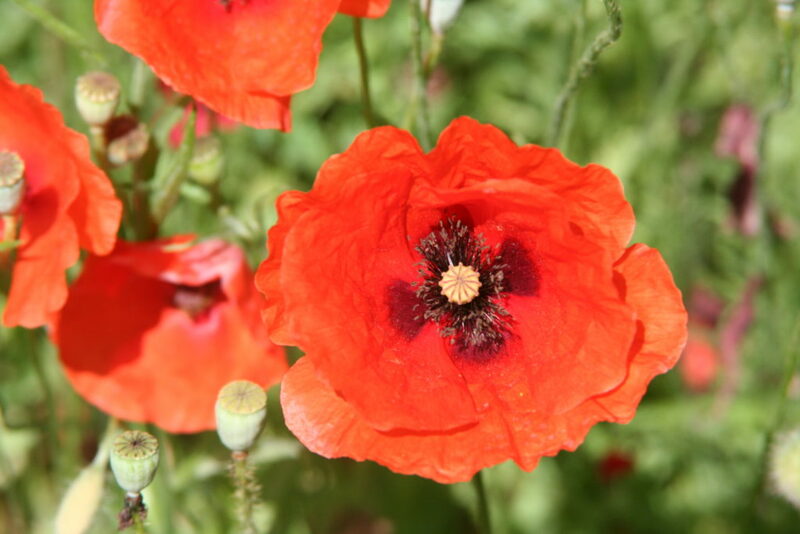 The delicate beauty of poppies is symbolic in Drawing Lessons. I wanted to take photos for marketing and graphics for the new novel. 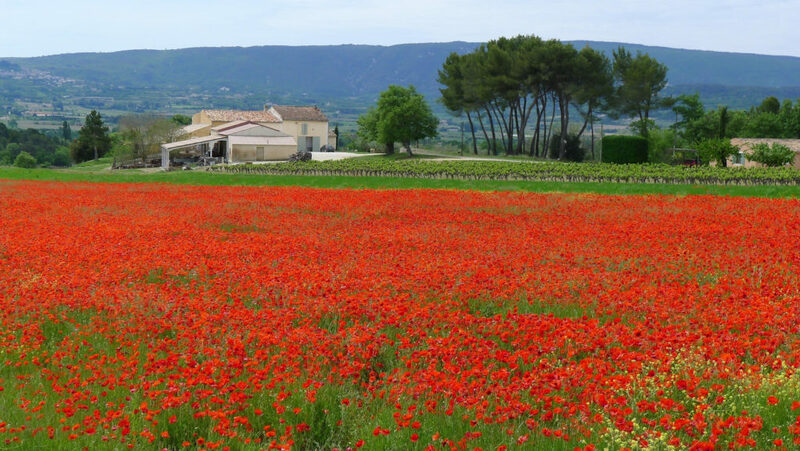 The poppy season was almost over but then we got lucky and voilà! I hope you have an excellent few days planned. Bon weekend! Bonjour! If you are going to be in Nice on June 3rd … or have a friend or friends who will be, please mark the date on your calendar and join us. This is the third year the event has been organized and it’s always a good afternoon of conversation and connecting! I recycle this post every year because I don’t want to change anything about it. If you read it last year … or the year before , I hope you enjoy it again. Listen to the cheerful May 1st video and do a happy dance! 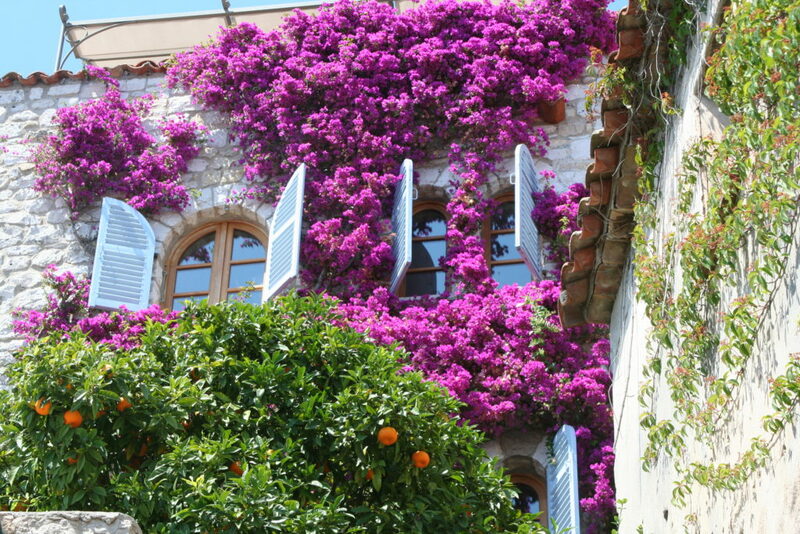 Provençal proverb ~ In May, do what pleases you! Here’s my May 1st muguet to each of you. 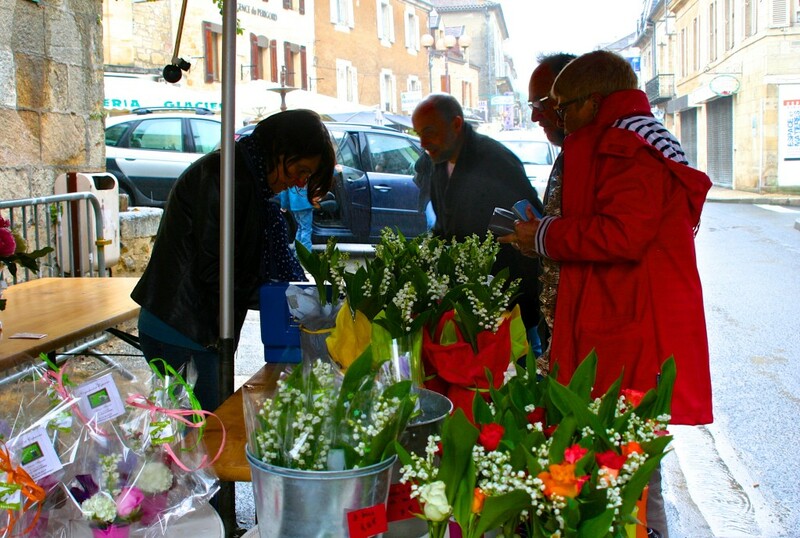 Every May 1st I love to talk about one of my favourite traditions in France ~ La Fête du Travail or La Fête du Muguet. The day is a national holiday ~ International Workers’ Day, like Labour Day in North America. 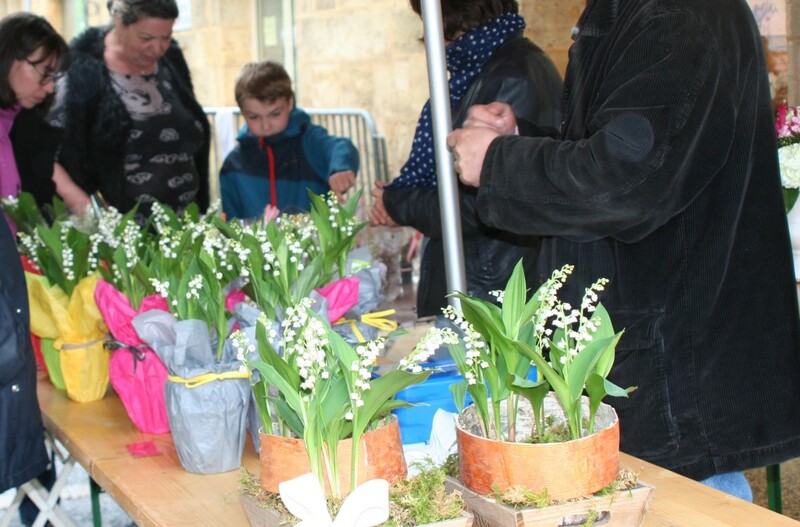 But more than that it is an occasion when people give little bouquets or sprigs or pots of le muguet (lily of the valley) to each other. 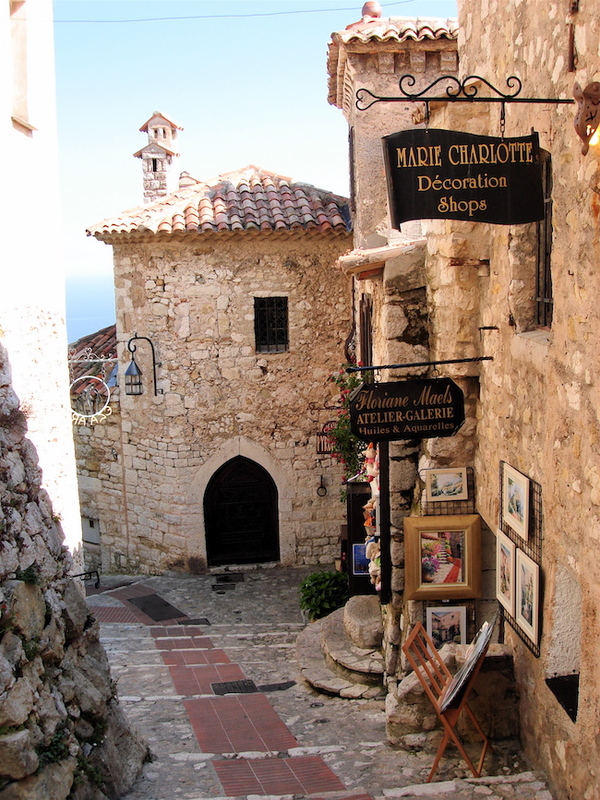 Like so many of the things we love about France, the tradition has lasted for centuries. It began in 1561. 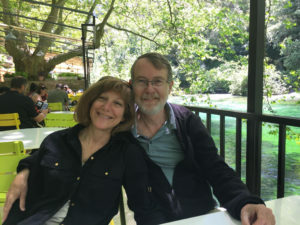 In my early years of blogging, I read a post by my friend, the talented writer/reviewer Claire McAlpine and I like sharing her story each year. It’s sweet, and explains the tradition so well. Two years ago, my husband and I had just finished a magical stay (but then isn’t it always?) in Paris and the Loire Valley. 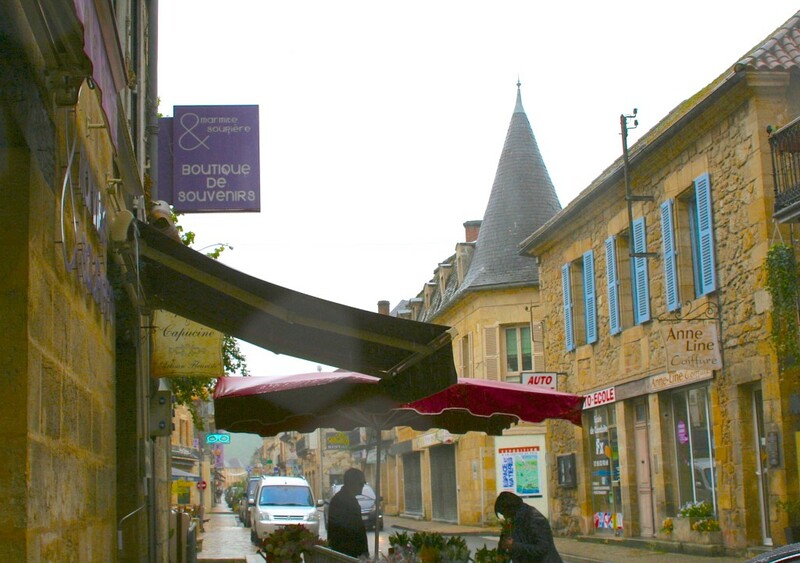 We were driving south to the Dordogne region and in every town, big or small, this was the scene. Even on a drizzly day. I loved it! Obviously, young or old, everyone puts a lot of thought into this tradition. 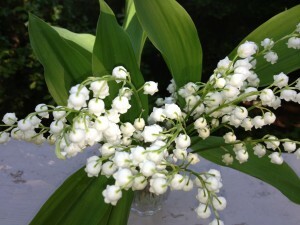 Le muguet or lily of the valley represents a porte bonheur, a good luck charm, to special people in your life. Sing along! Does your culture or country have a special May 1st tradtion? Happy Friday to you! 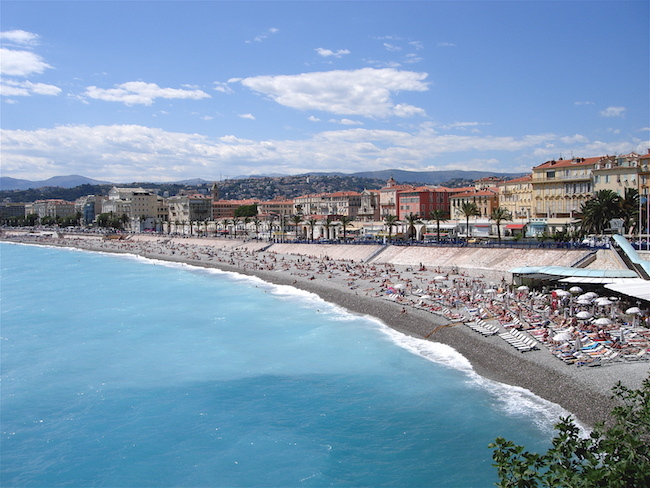 I’m doing last minute organizing and packing … as you will see below, we are off to the Côte d’Azur on Monday. And you know me … I couldn’t be happier! So I’m posting the newsletter here that just went out yesterday. If you already received it, I hope you enjoy the photos again! It’s got all the news I want to share and … full disclosure … I’ve got to finish packing! Fasten your seatbelt and prepare to take off with me on Monday. It will be magnifique over there and, if you like, I’ll be delighted to take you everywhere with me! Are you ready for some warm spring weather? I am! It really hasn’t reached Toronto yet, although we’ve had some nice sunshine. I’m ready to stop wearing a jacket! Bring on the sandals! Hopefully this time next week I won’t be grumbling about the weather. 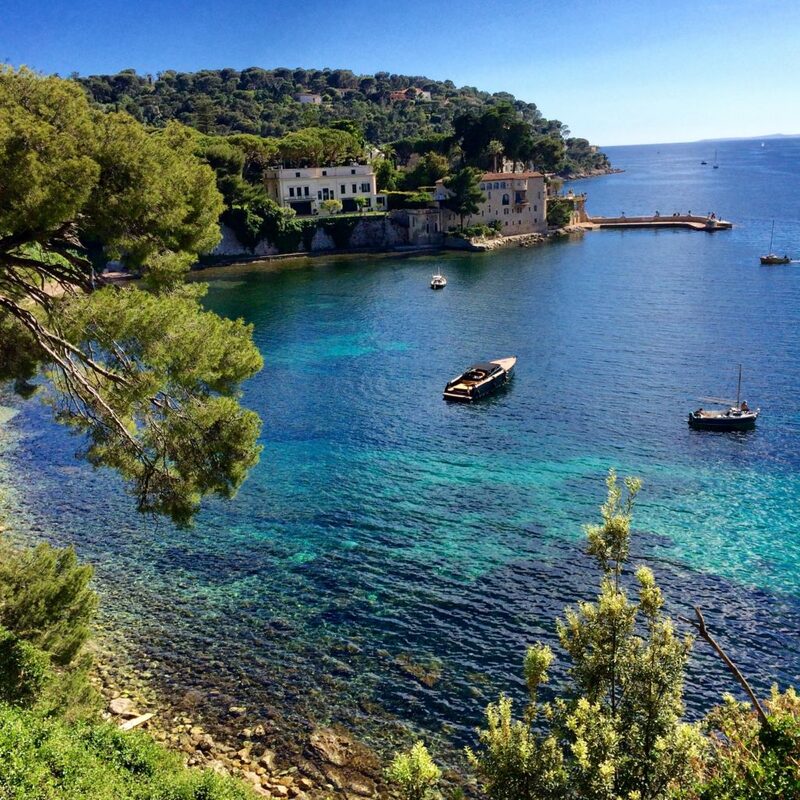 We will have arrived in Antibes! 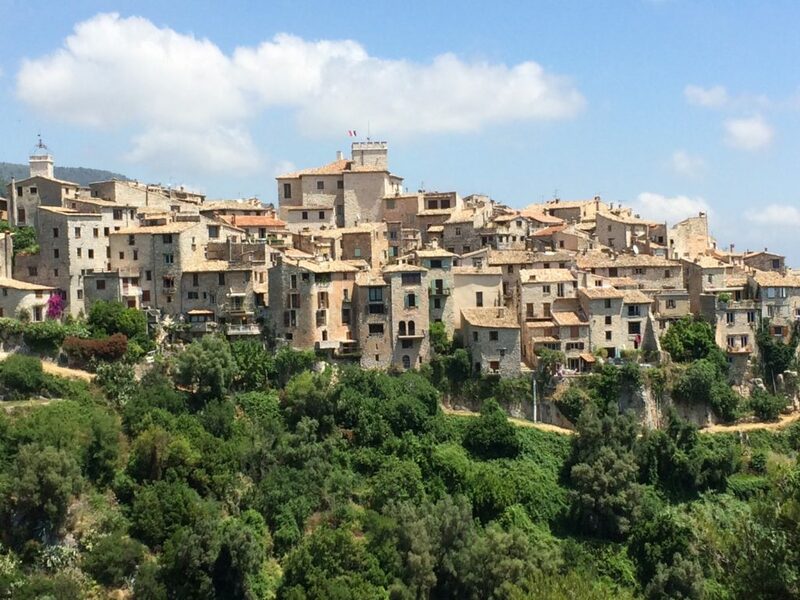 As most of you know, this header shot is one of my favourite views of the town that stole my heart. 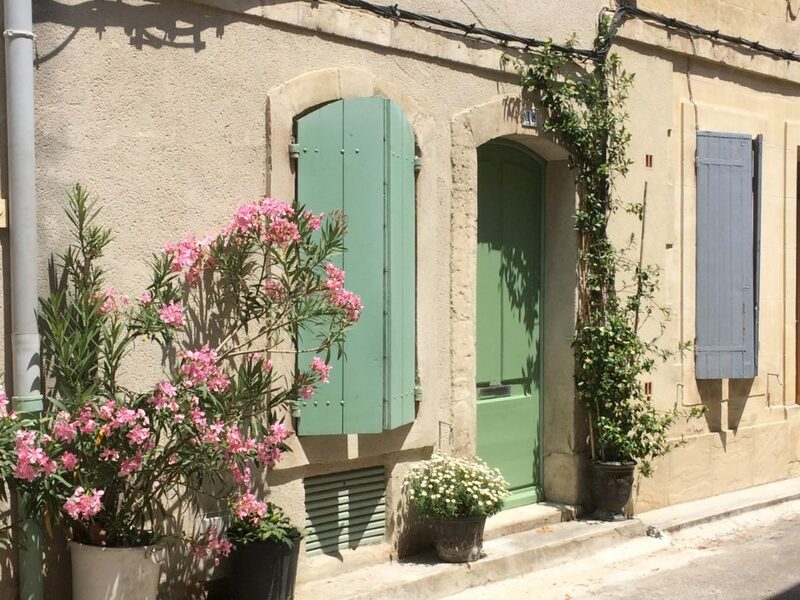 My husband and I have rented a quaint, restored fisherman’s cottage for 5 weeks in the vieille ville, a few minutes from the daily marché. 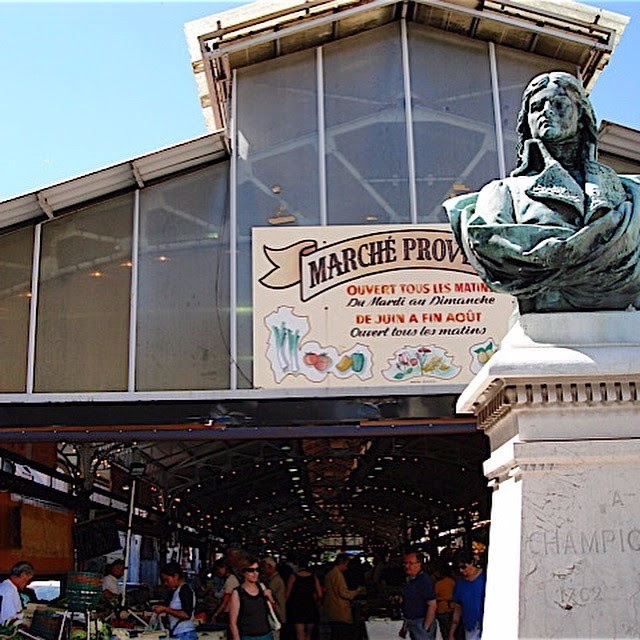 Yes … that marché where Kat met Philippe. I can’t wait to take you along with me! Stay tuned for photos. This is one of the neighbouring streets that I’ll stroll to go to the market, and I promise to take you along many other charming streets just like it. When I’m in France, I’ll share a new photo or short video every day on Instagram. Click here for the link to my gallery. Apart from sharing my photos, I love IG because of all the other amazing photography you find there from all over the world, and on just about every topic you can imagine. It’s a free app on your phone. If you enjoy photography in one way or another, check it out! Be sure to say hi to me if you do. In my last newsletter, I mentioned I had completed the developmental edit for my new novel. Today I returned the copy edit to my editor at Lake Union, and now I wait for the proofread to come to me and the cover design. As you can see, it’s a lengthy process! But I love every bit of it and always learn something. Most importantly, it means we’re working hard to bring you books of the highest quality. I hope to show you the cover in the next newsletter, before anyone else sees it. 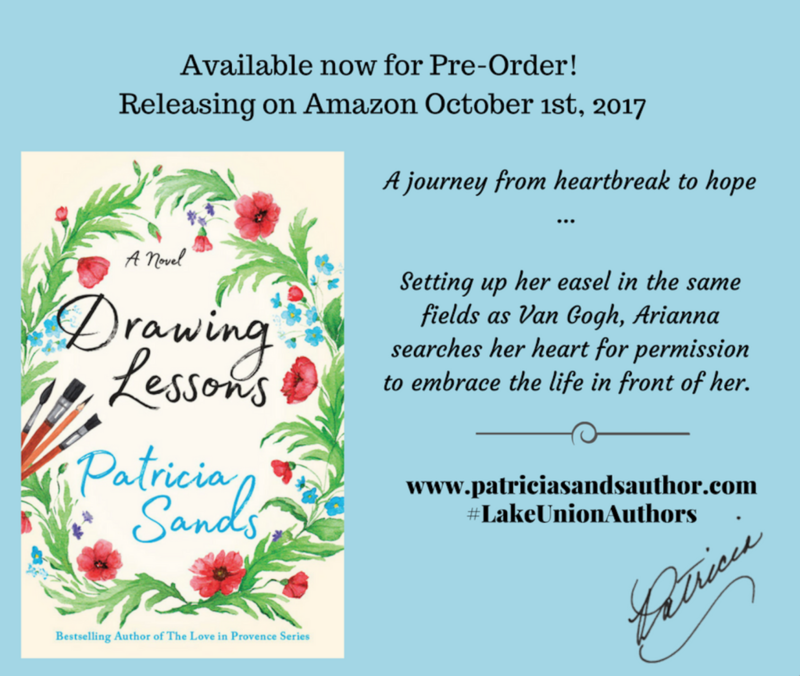 What I can tell you now is the title ~ Drawing Lessons ~ I mentioned the story about the title in my last newsletter … and I give full credit to my husband! Here is Amazon’s book description. You are seeing it before anyone else! 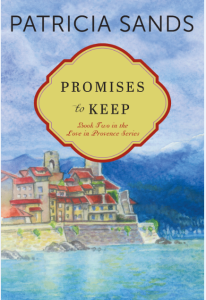 The author of the Love in Provence series returns to the South of France with a poignant portrait of a woman who must learn how to create a new life for herself . 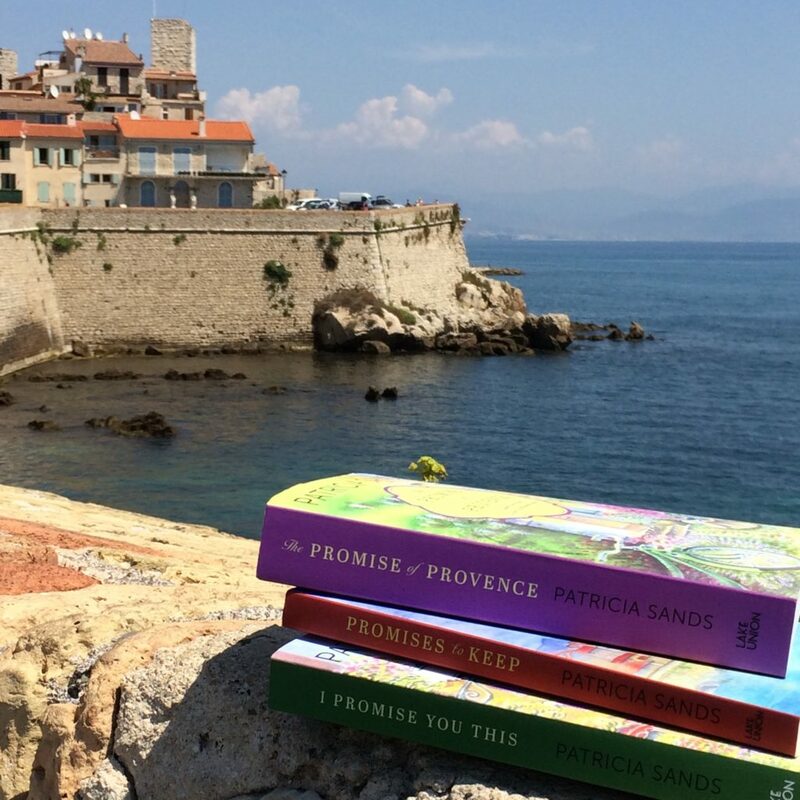 . .
After falling in love with all of my characters in the Love in Provence series, it was a challenge at first to get connected to an entirely new collection of personalities. That’s part of the fun of writing fiction! It didn’t take long before all of these characters became very special to me as the story unfolded and I got to know and love them! I think you will like them too! 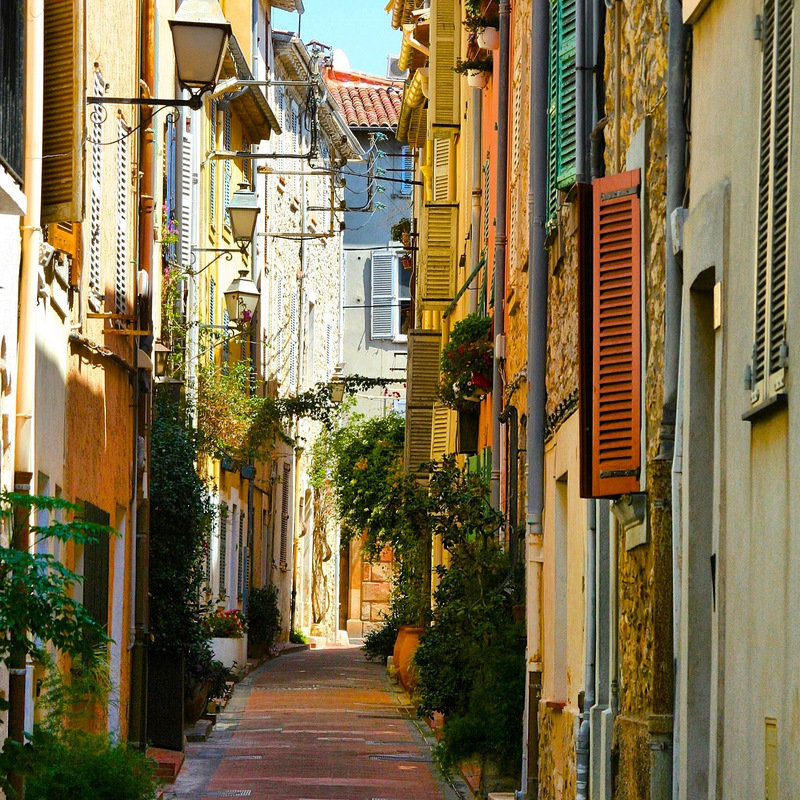 This is one of the streets I often visualized as the characters were strolling in Arles, taking notes and sketching in their art journals. Giveaway time! Today we have three! It’s fun to see how many of you enter the giveaways, so I’m thrilled to offer these great books to you this month. Good luck! Bonne chance! 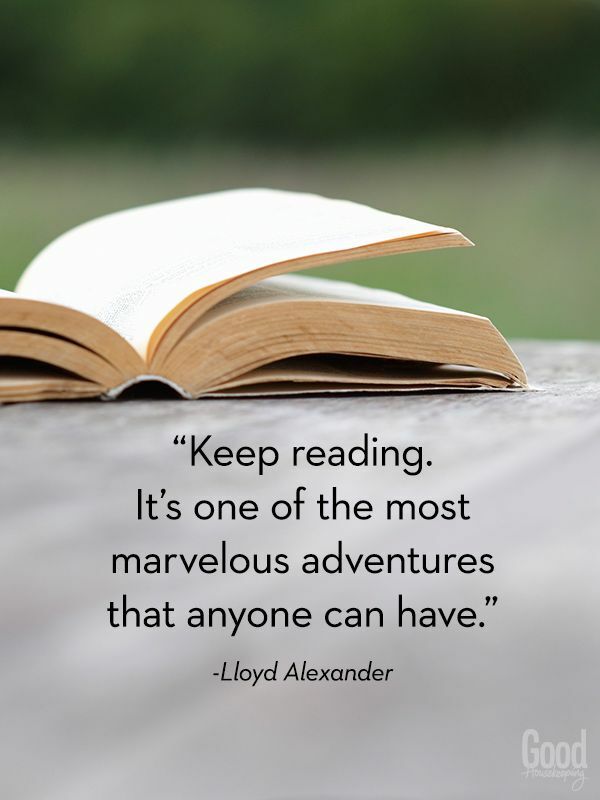 I hope you enjoy meeting authors who might be new to you and connecting with those you already follow. 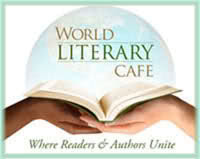 Savour their books, find out more about the writers and pass along their information to your friends. The best way to hear about a good book is by word of mouth from dedicated readers like you. If you have time to write a short review, even better, and always appreciated. 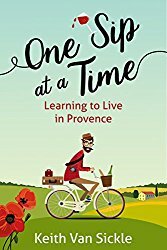 Giveaway #1 ~ Janine Marsh’s memoir My Good Life in France is available for pre-order and will be published on May 4th! She is offering two ebook copies here. As the creator of The Good Life France website and magazine, you’re no doubt very familiar with her. It’s quite a ride to read the story of how her adventure has unfolded. Here’s my blog post about it. Connect with Diane at her website. 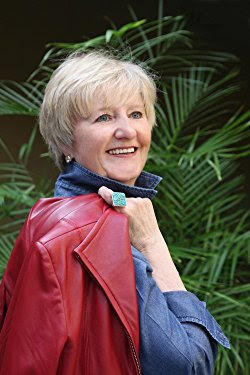 Giveaway #3 ~ Kay Bratt is the author of eleven full-length novels and two children’s books. She is offering one ebook and one print copy of her touching novel Wish Me Home. 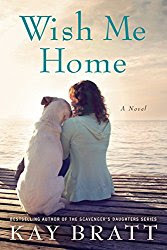 In her first work of contemporary women’s fiction, bestselling author Kay Bratt draws on her own life experiences to create a raw, yet inescapably warm, novel about friendship and a wary heart’s unexpected capacity to love. And there’s a dog! 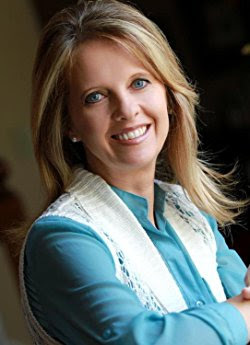 Connect with Kay at her website. 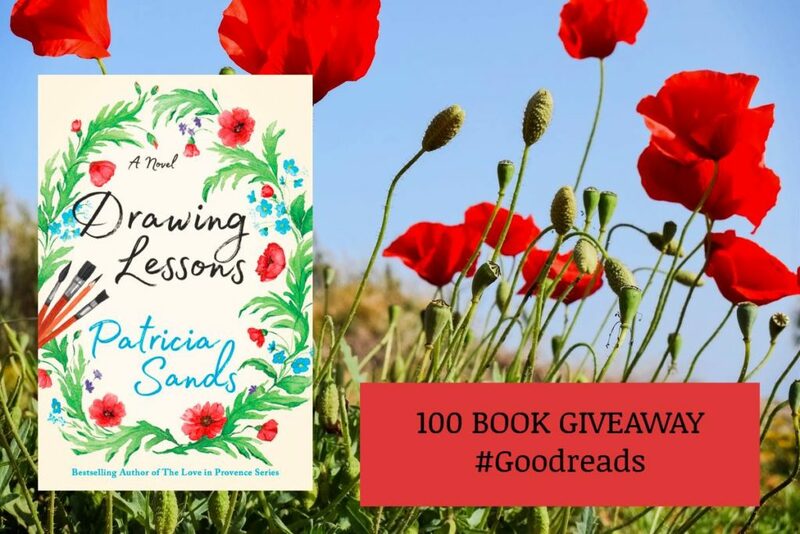 For those of you who are new to the newsletter, all you have to do to enter our giveaways, is send an email to patriciasandsauthor@gmail.com and let us know which book you would like. Please indicate if you would like an ebook or print. 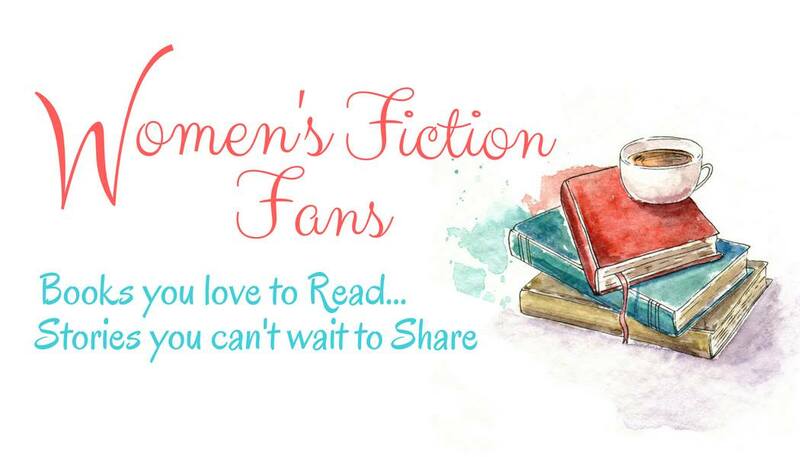 This time we’re asking you to share with us whether you read novels on your phone or not. Don’t be shy to admit it … I do! (Practically all the time, thanks to this chaotic schedule I seem to keep!) I love having all my books with me whenever I want them. 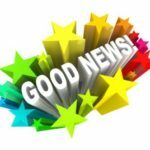 Congratulations to last month’s winners: Jackie Tansky, Beverly Eanes, Linda Kish, Jane Pinder, Barbara Mitchell, Athena Kelly, and Margaret Bostock. I’m sure you’ve already heard from Amy and received your books. I will be sending the audiobooks to Jackie and Beverly in the next day or two. 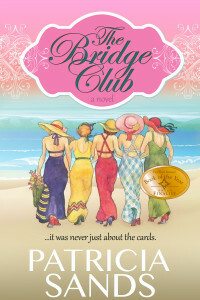 News Flash ~ The Bridge Club is discounted to $.99 until the end of June because of some marketing promotions. If you already have a copy, gift some to your friends! 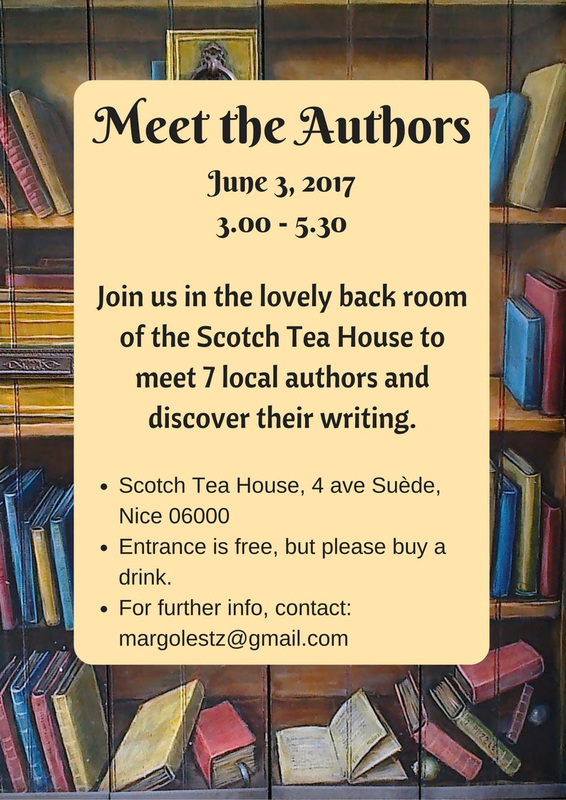 As I mentioned last month, a few writers have organized another Meet The Author event in Nice on June 3. Here’s the information about the venue and I’ll put the other details on my FB page in a week or so. I’ll also let you know in my May newsletter. If you have any friends in the area, please share the info with them. It’s always an entertaining few hours and we’re making it even bigger and better than before! Allez! I’m going to dash now as I’m off to visit with a book club this evening ~ one of my favourite things to do! Don’t forget to let me know if you would like to organize a chat with your book club ~ we can always do it through Skype or FaceTime ~ no matter where you are. Talking about books is always fun! And, since I’m dashing I thought I would leave you with one of my favourite quickie recipes for entertaining. We all have left over cheese from time to time, oui? I’m popping this cheese photo in just because I like it … and I love this cheese … but, seriously, you can make this yummy treat with any kind of cheese and mixing a few together often is even more delicious! Just pick up a fresh baguette and you are good to go. 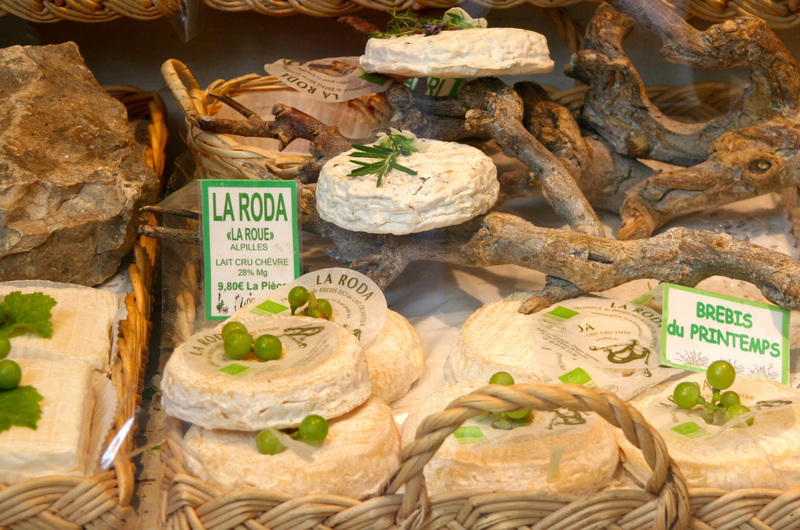 Make some Fromage Fort … and if you do, tell me how it worked for you. Click here for the recipe. 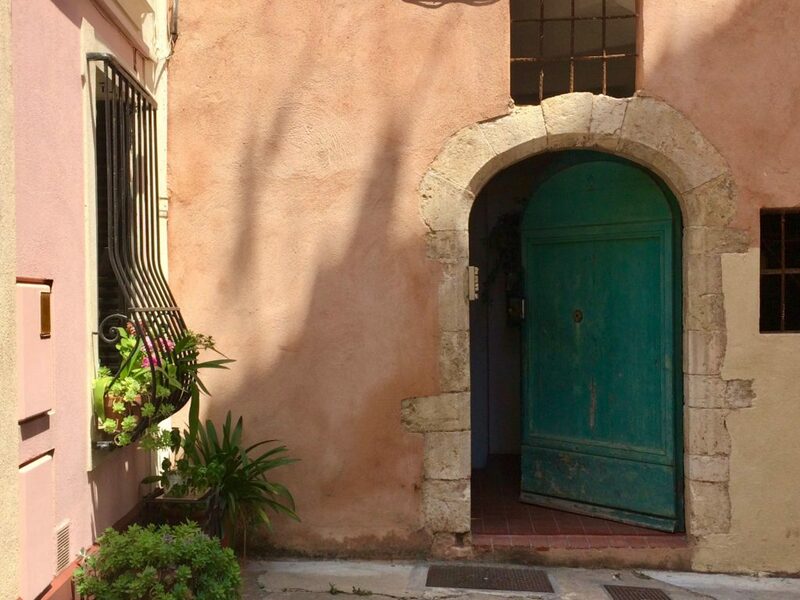 My next newsletter will be from Antibes and I’m excited to chat with you from there again! P.S. 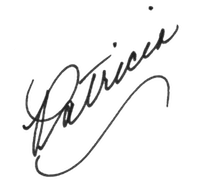 If you would like to read some of my past newsletters, you can do so at this page on my website. 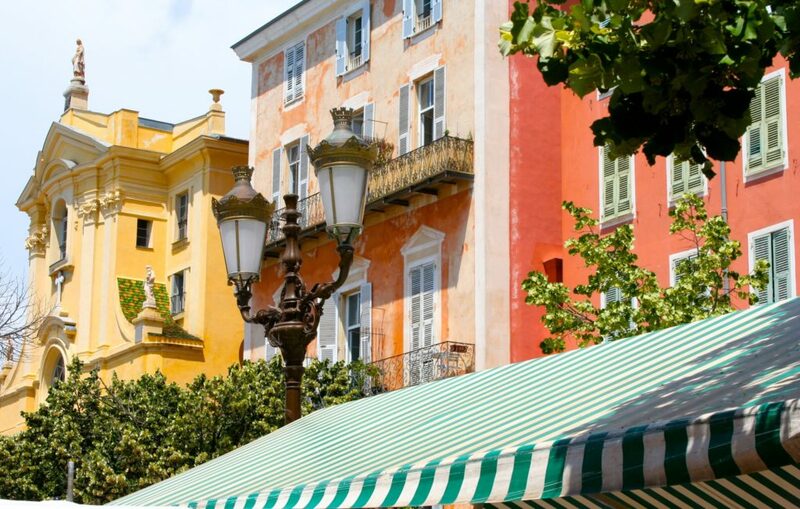 SEE YOU NEXT WEEK FROM ANTIBES ON THE DAZZLING COTE D’AZUR! I’m SO excited to share this news with you! May 4th is the publishing date for this long-awaited memoir by Janine Marsh! Even more good news is that the book is available for pre-order on Amazon right now! 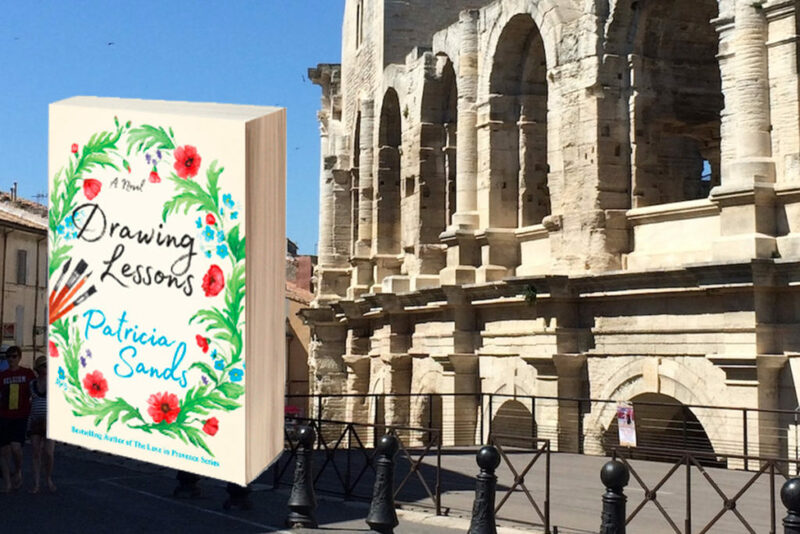 Click here to purchase your copy of My Good Life in France. 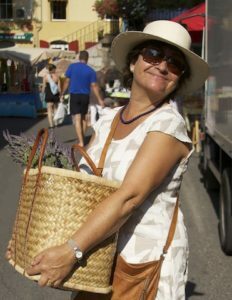 As we all know, Janine is the founder and editor of the fabulous The Good Life France website and ezine. 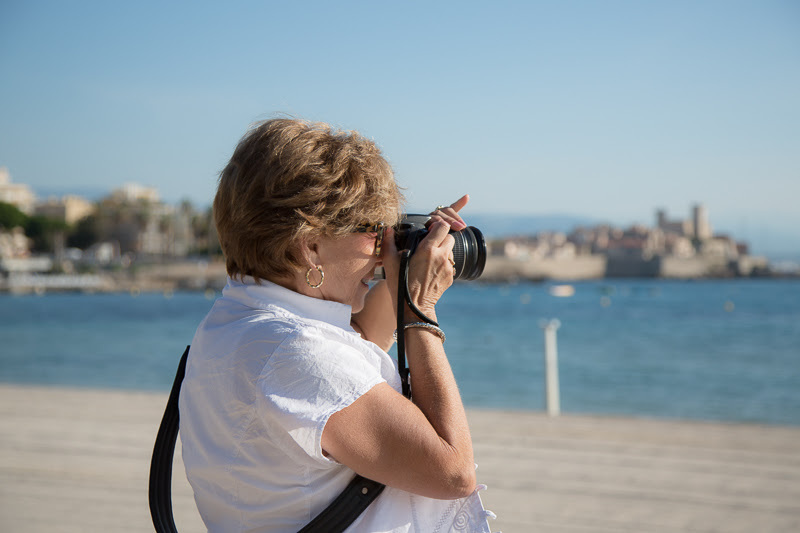 For all of us who love to dream about France and read about and see photos of and plan trips to and … well, you know … there’s no better resource! 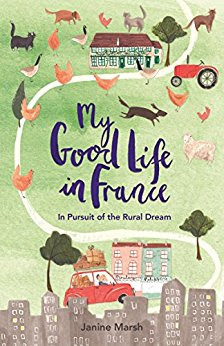 I’ve been eagerly awaiting the publication of Janine Marsh’s memoir, My Good Life in France, and was honoured to receive an ARC for an honest review. 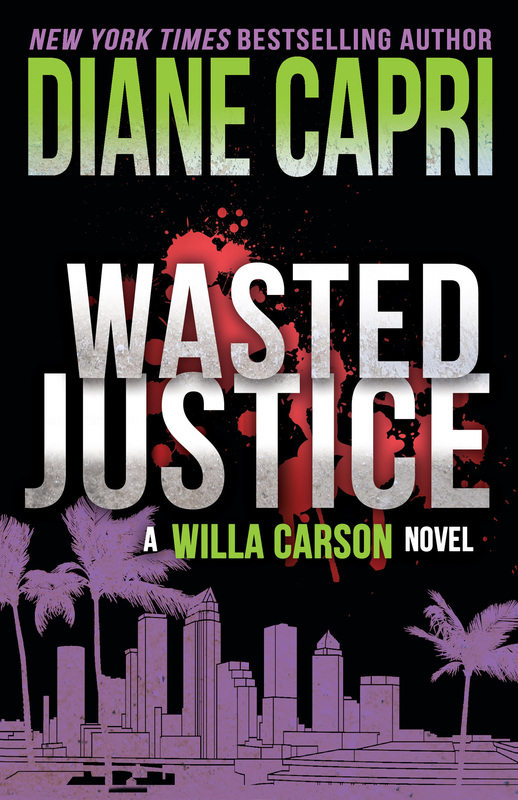 It’s no surprise that this book is everything readers hope it will be. 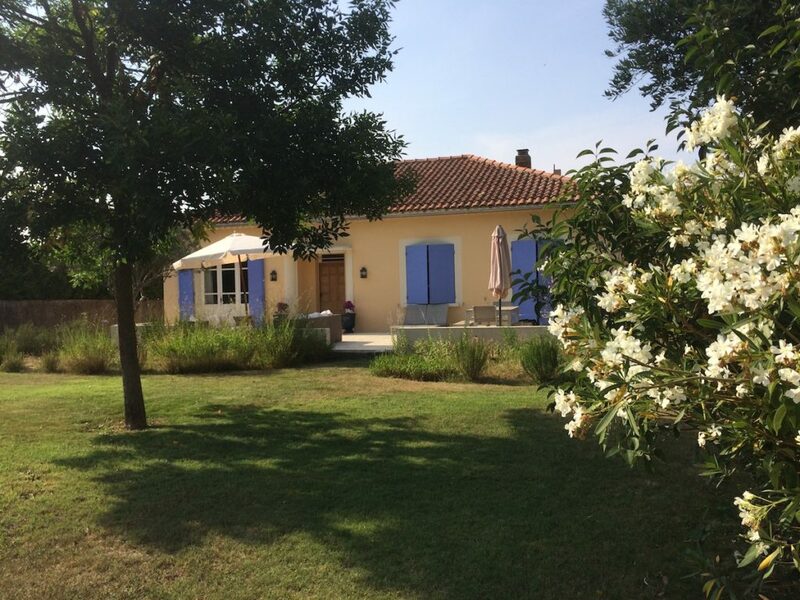 With her sharp insight after many years as an ex-pat in France and her engaging sense of humour, Marsh takes us on the bumpy road of highs and lows restoring a “truly awful” (her words) property in the north of France that captured her heart. Through the author’s eyes and experiences we discover the (relatively unknown to tourists) Seven Valleys area in the Pas-de-Calais, which is now on my “must visit” list. Easily drawn into Marsh’s entertaining narrative by her sharp observations and warm-hearted nature, we get to know her neighbours, the local traditions and her growing family of dogs, cats, and assorted feathered friends. Thank goodness for an understanding husband who is also an enterprising craftsman. There are challenges that would deter most from staying the course. Yet not only do the Marshes survive, but a brilliant new career path is born. This book is a delightful read that I highly recommend. Click here to read an earlier post when Janine visited my blog. If it’s cool and rainy in your part of the world, as it is in mine today, pour yourself a warm cuppa (a hot toddy sounds good to me!) 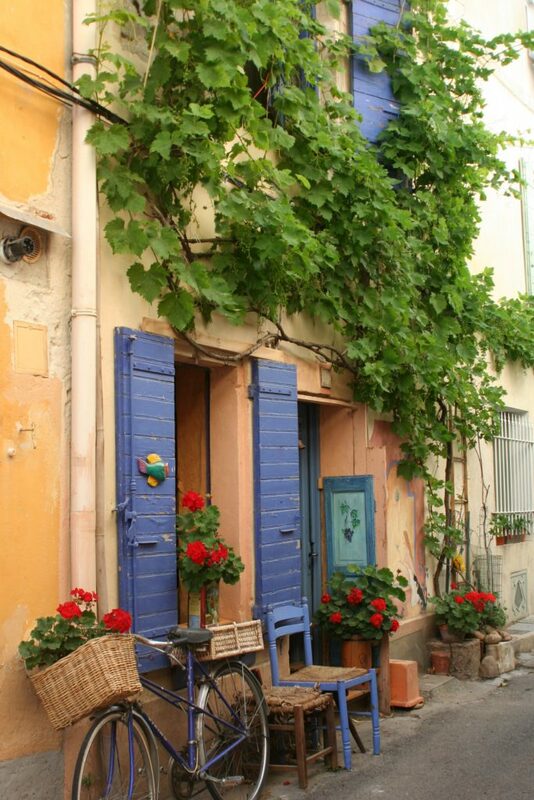 and lose yourself in the pages of The Good Life France Spring Magazine. You’ll be glad you did!